Welcome to the second part of our Very Merry Christmas Party. 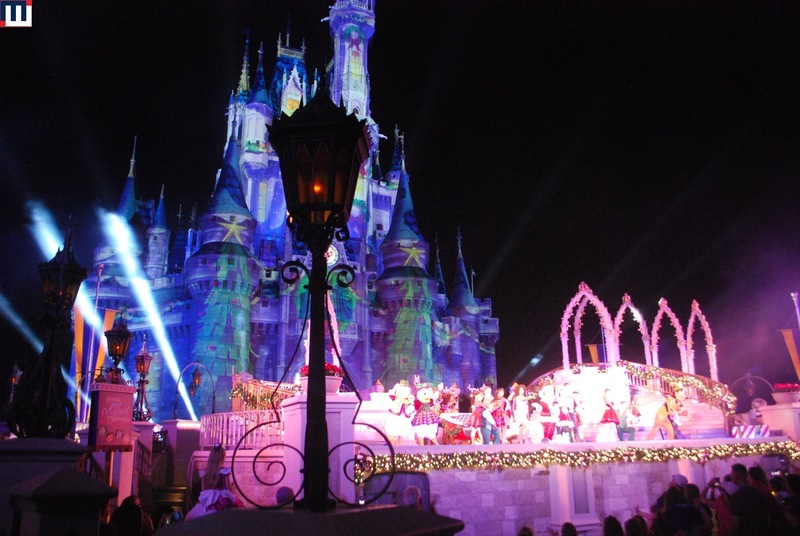 The main "character show" at the Castle Stage this year is Mickey's Most Merriest Celebration. 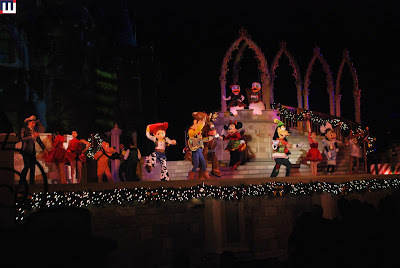 The show features all of the main characters... but wait, where's Donald? I know, let's text him! The projection mapping on the Castle looks amazing by the way. Next Clara Belle makes her entrance. She is quite the diva. Next the Woody's Round-Up gang makes their entrance. What's a Christmas celebration without Feliz Navidad? Donald, Panchito and Jose come out to lead in the singing of this popular holiday tune. Look at the Castle. It really adds to this production. Looks like everyone else finally arrived. One last holiday surprise - Santa Mickey and Mrs. Claus Minnie. What a great show. So much fun. That concludes the second part of our update. Check out the rest below.